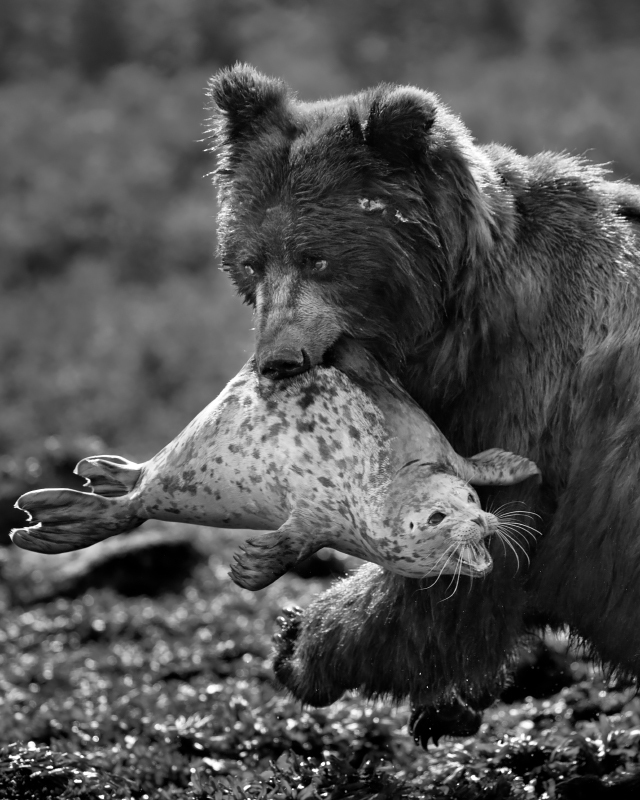 To prevent other predators from stealing his meal, a brown bear runs away with a harbor seal, his much-prized and unusual catch. Glacier Bay National Park, Alaska. My heart goes out to the seal, but just a few miles away a struggling and starving brown bear with cubs showed all her ribs. I desparately wanted her to find food, and I have to empathize with both predator and prey.